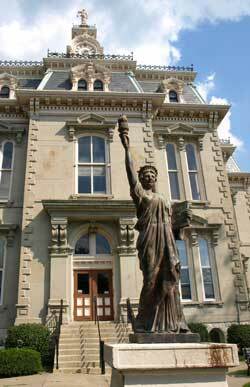 We discovered eight Statue of Liberty replicas on courthouse lawns during our journey. 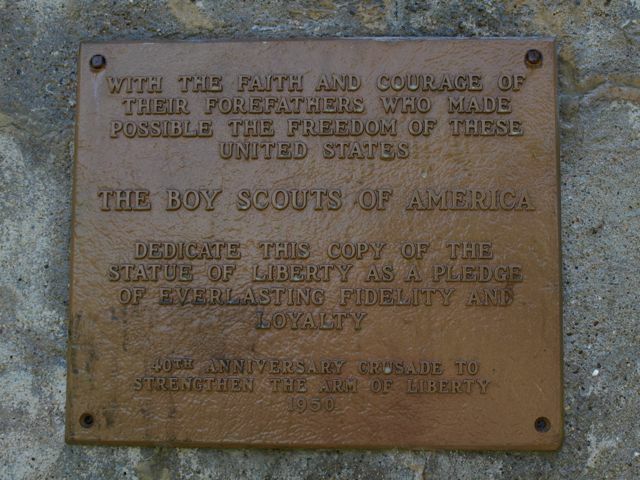 Most had a plaque from the Boy Scouts of America. The "Strengthen the Arm of Liberty" campaign placed over 200 of the 8.5 foot tall statues throughout the United States, for about $350. Scouting Magazine article on "Strengthen the Arm of Liberty"